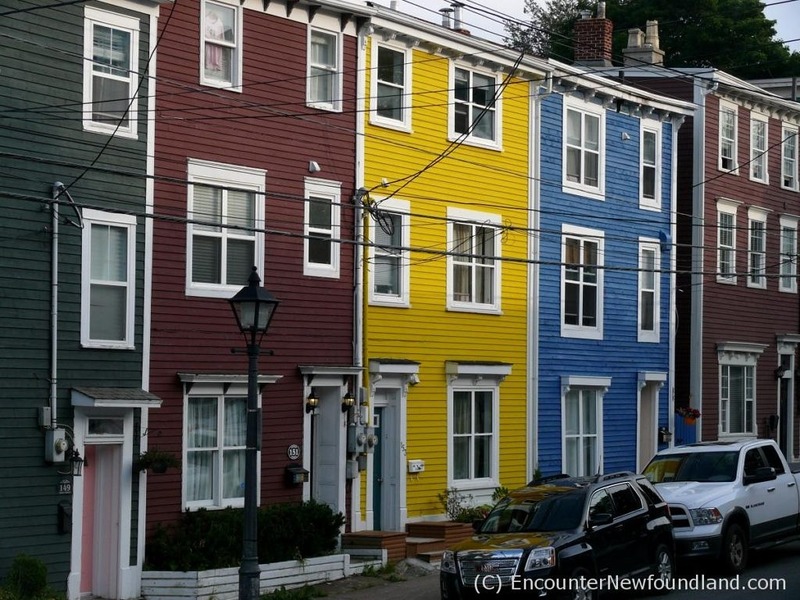 St. John’s is known for the vibrantly colored row houses that help give the city its distinctive character, and the reality measures up to the hype; ‘Jellybean Row’ really is a must-see visual phenomenon. 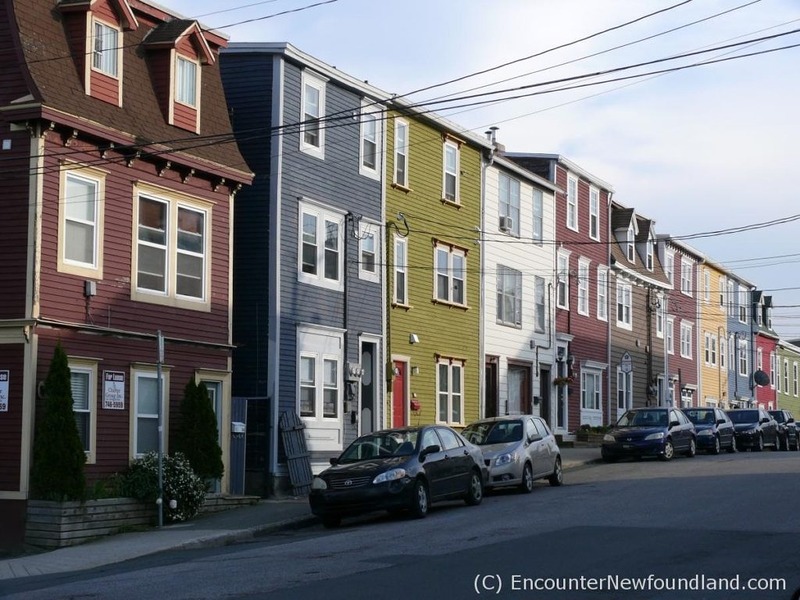 The bright facades of St. John’s are familiar features in the alluring provincial tourism ads on television, the Internet and in magazines. 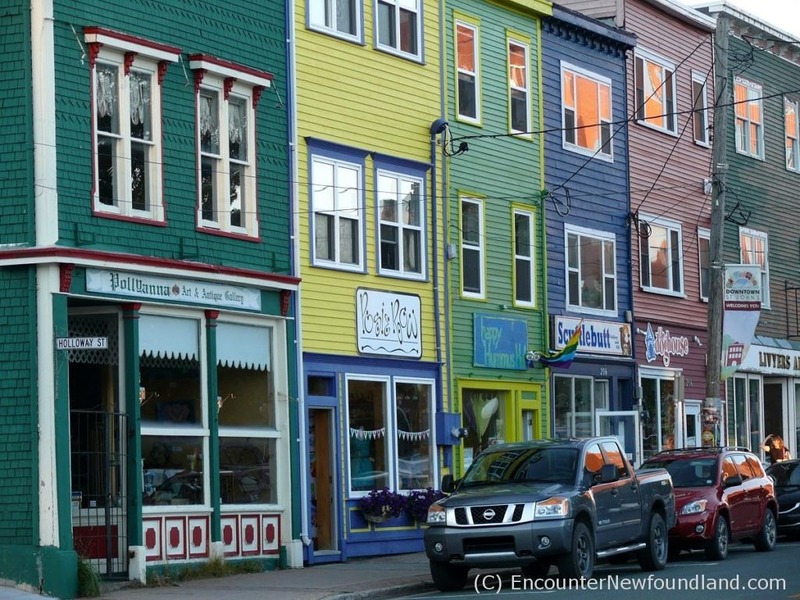 The scenes are truly captivating, and seeking out this unusual thoroughfare with its odd rainbow color scheme has become one of the top items on many visitors’ to-do lists. 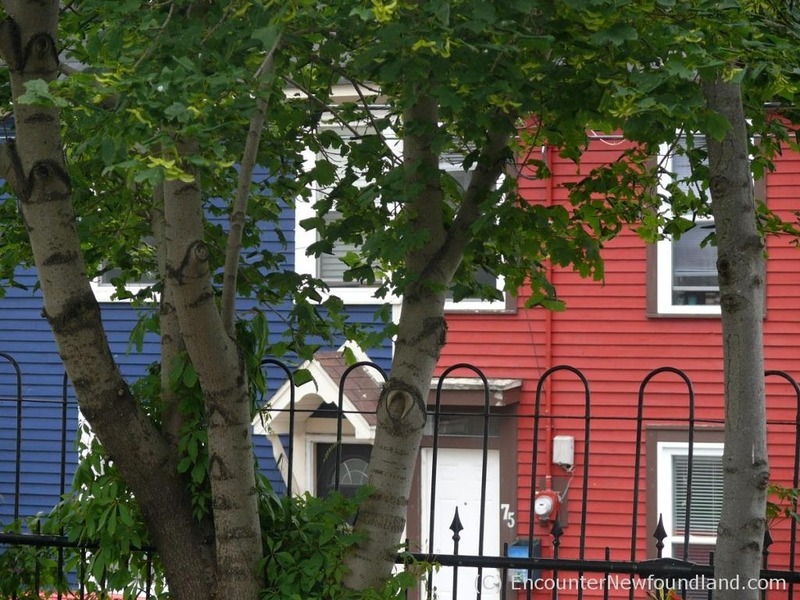 But if you come in search of Jellybean Row, as it’s called, you might be surprised to discover that it isn’t a street at all. 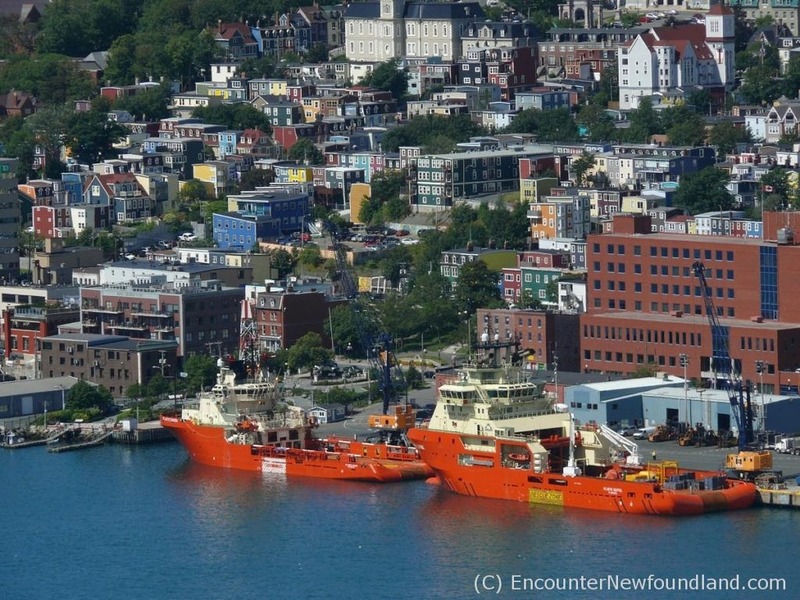 Those candy-colored structures are everywhere you go. 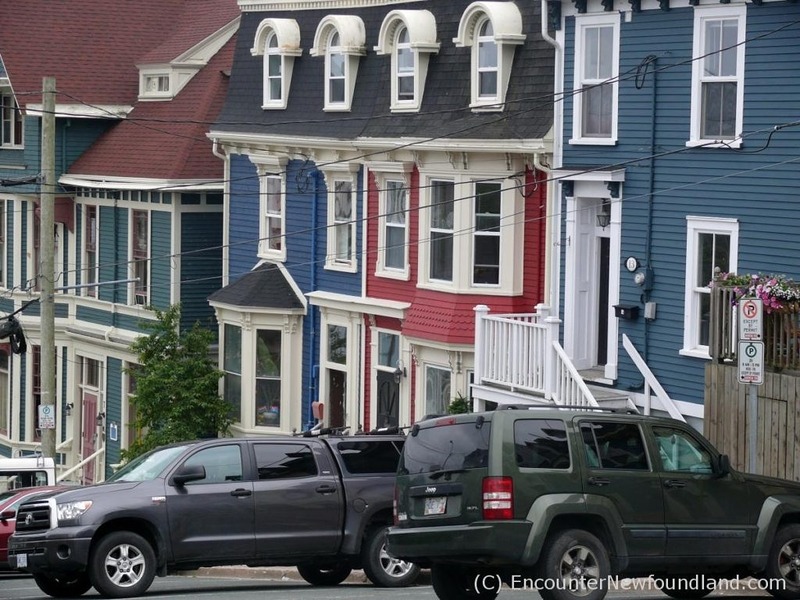 Walk pretty much anywhere in downtown St. John’s and you’ll be walking down Jellybean Row. 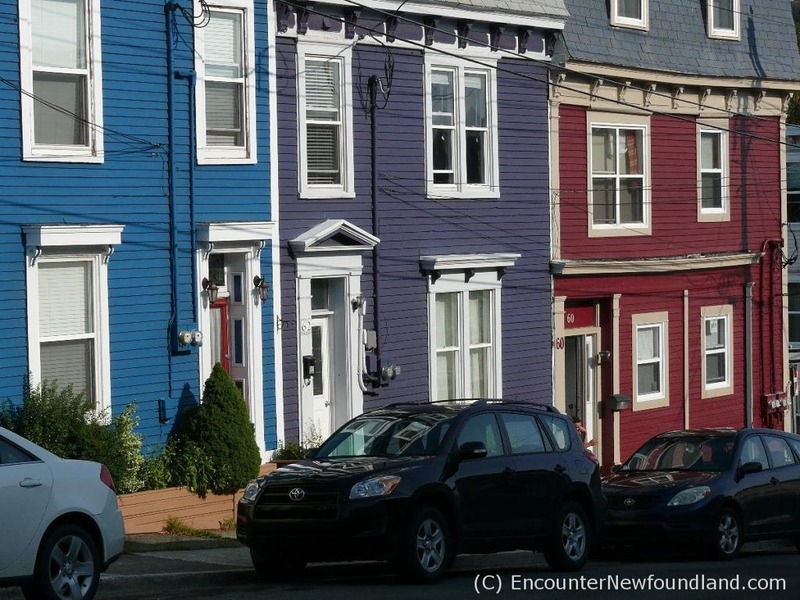 Around every corner you’ll come across vividly washed terraced homes that line the streets and lift the spirits on even the dullest of days. 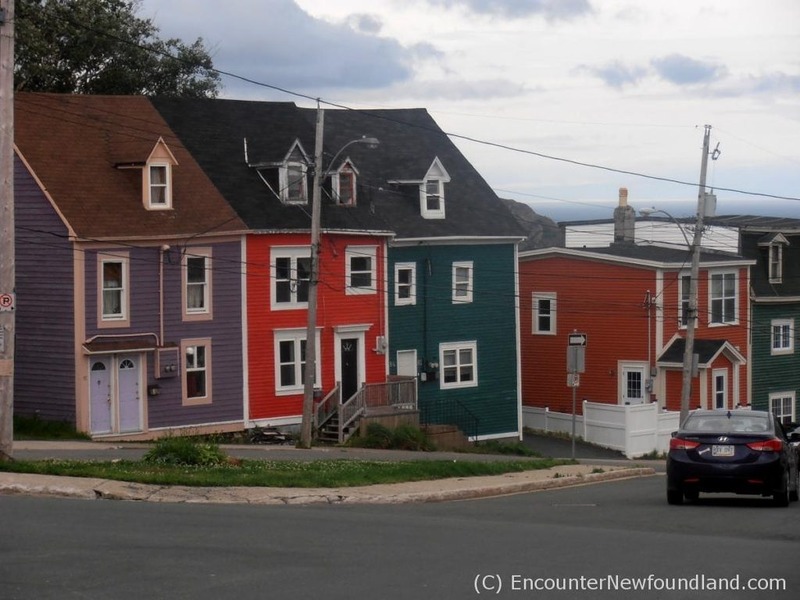 From the tops of the city’s steeply graded hills, the attached, motley colored facades form parti-striped walls of windows that descend, step-like, toward the water. 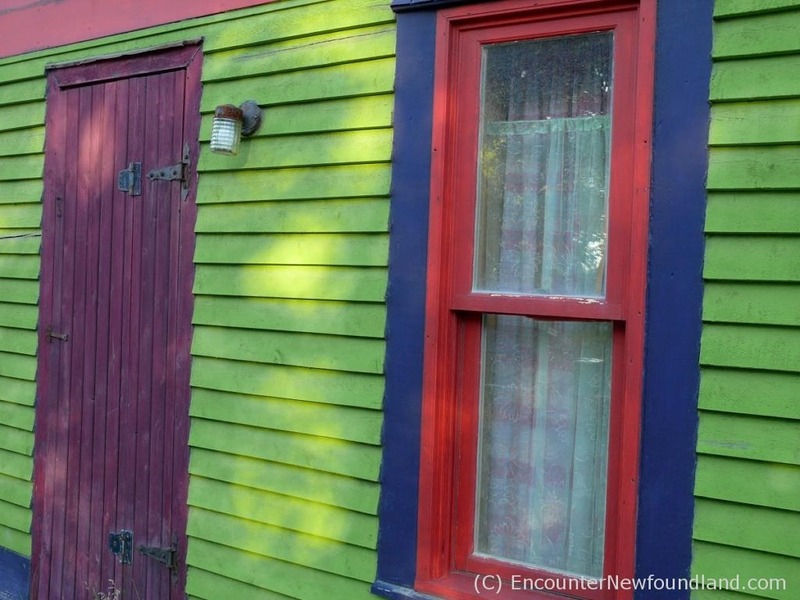 Green with purple trim, or red, or blue—the colors are often bold and unusually matched. 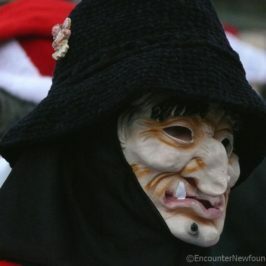 Even a touch of sunshine makes them pop, and the result is an especially startling visual. 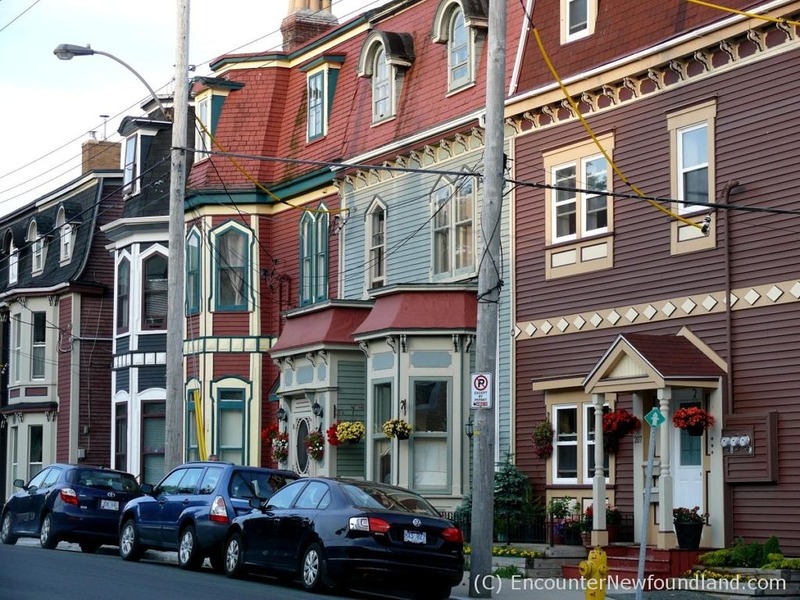 The city’s storefronts have also seen the painter’s brush, as have the many heritage homes, the latter creatively enhanced with charming ‘gingerbread’ trims—in contrasting shades, of course. 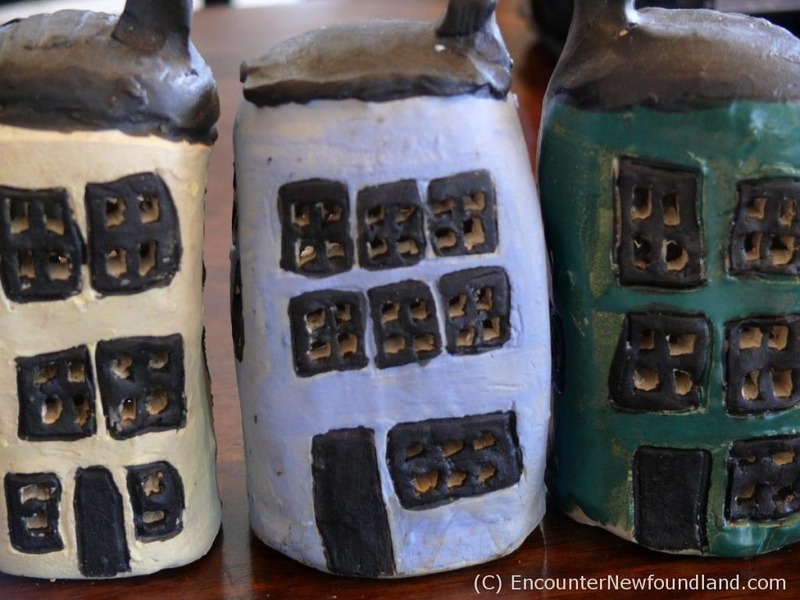 The whimsical colors are a novel sight, but how did this concept of Jellybean Row come to be, in the first place? 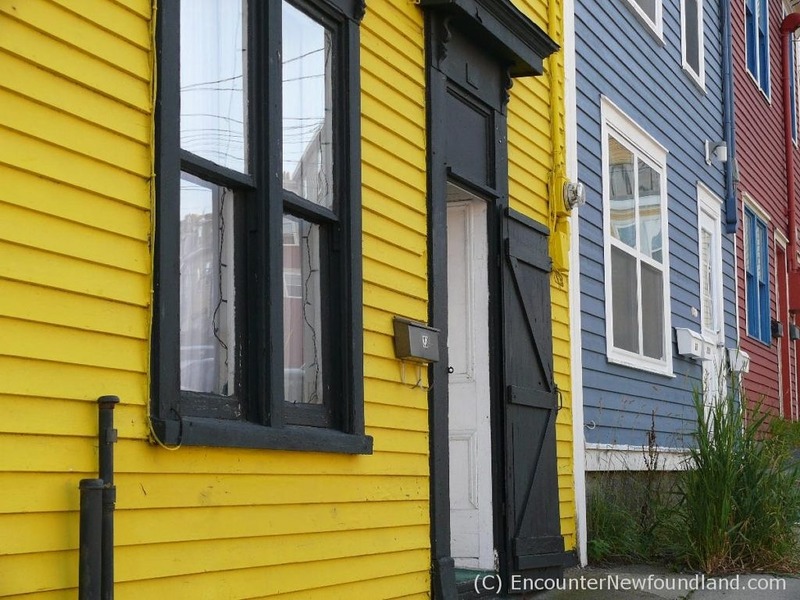 It’s widely thought that the practice is traditional, harkening back to a time when houses were brightly painted to make them visible to fisherman in foggy weather. 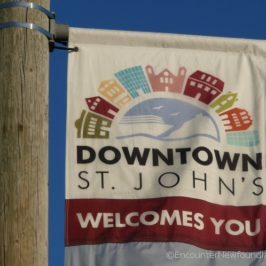 While they may serve that purpose for modern day party goers, the truth is that this ‘tradition’ was begun in the late 1970s as a way to inject new life into a declining downtown. 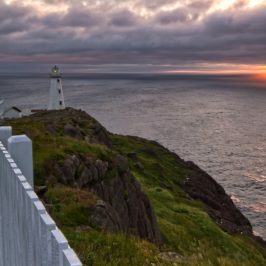 Happily, the bright idea caught on with the city’s residents, and the palette spread outwards, lending St. John’s that multi-hued aura of cheer it’s become famous for. 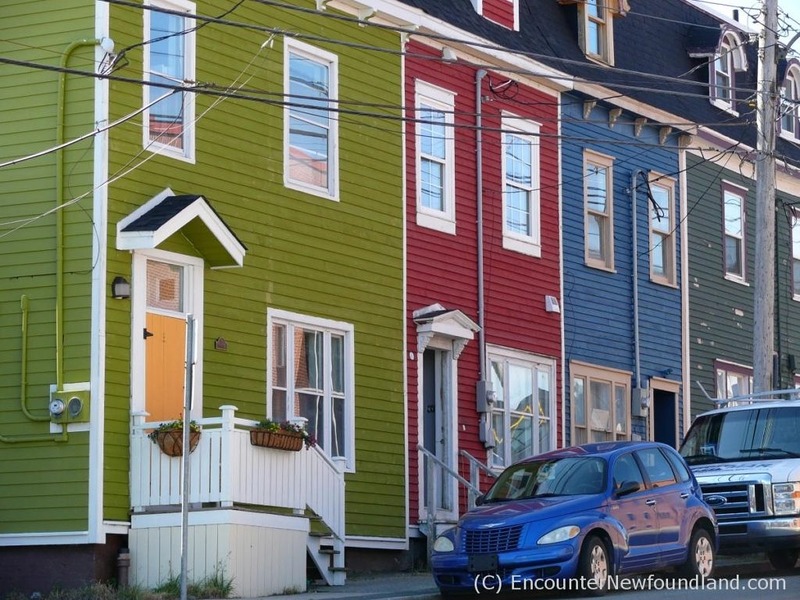 Regardless of its beginnings, the concept of Jellybean Row is a creative reflection of the people of St. John’s, and the row houses have become a symbol of the city itself, sported in ads, on signs and logos, t-shirts and mailboxes, and replicated in myriad creative ways for the gift shops. And why not? 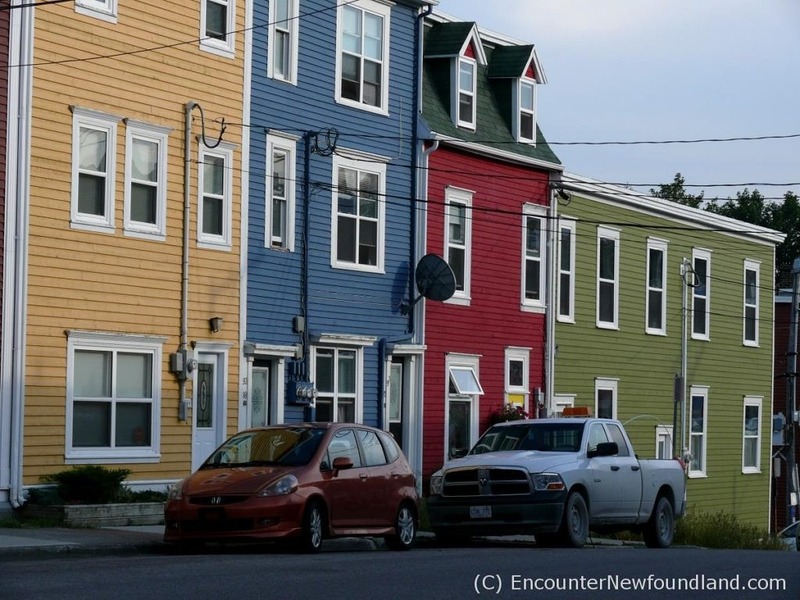 These playfully colored, often endearingly crooked structures really do capture the unique spirit of St. John’s, and likewise the imagination of everyone who comes looking for them.